I just made this hara chutney yesterday and it was wonderful. This is a very tasty recipe which can be served with rice or South Indian recipes like Idli or Dosa. Also this is an excellent side dish as a dipping sauce for French fries, cutlets, chips or pakoras or as a spread for sandwiches. If you like the flavor of coriander and Indian food, then you will certainly enjoy this eternal favorite…fresh coriander chutney.. Grind coconut pieces in a blender. Add green chillies, ginger, garlic, onion, cumin and grind for a minute. 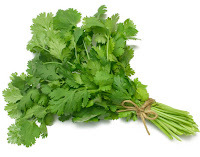 Now add chopped coriander leaves and little water. Take it in a cup, add a tsp of lemon juice, salt and sugar. 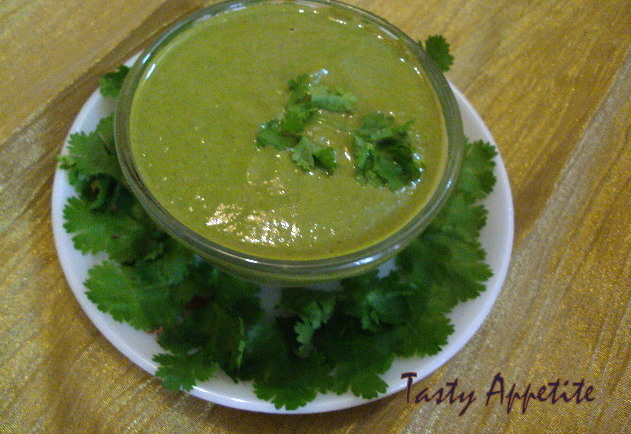 Delicious and healthy coriander chutney ready to enjoy…! Wow! I love this classic chutney! Must be flavourful and nice! 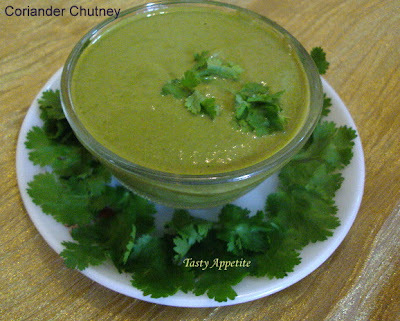 Fabulous looking chutney, love this green chutney.. Thank you.Never knew cooking was so simple! My, that chutney looks awesome. That and some hot steaming idlis is what I want for breakfast today. Jay, magnificent green colour. I love this as a spread for my veggie sandwich. One of my favorite chutneys. Lovely pics. Never had this.. but looks interesting..
My fav chutney..urs look attractive! dont know why my comments are not getting posted. lovely and yummy coriander chutney. Flavorful and yummy dish. Looks perfect. 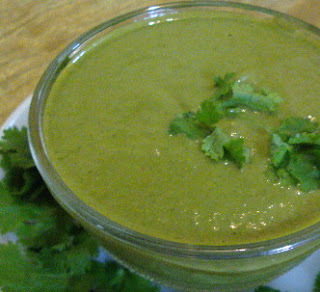 Coriander and coriander chutney are must in my kitchen. Love the additon of coconut in the chutney. All time fav chutney... give very nice flavor..
Nice colorful and flavurful chutney Jayanthi. I luv the color of the chutney. Loving the greenness! :) gorgeous! I have made something similar before that I really loved! I put in a lot of chiles though and it was HOT! Love this version with lemon juice,always added tamarind so far.. Will try next time! Lovely and colourful chutney..Jay I got all your entries..thanks dear !